What is Sma’ Shot Day? Sma’ (Small) Shot Day celebrates the historic victory of the weavers over their employers in 19th century Paisley and has developed into an annual celebration of arts and culture. The festival came about as a result of a political battle fought between the weavers of Paisley and their employers, the manufacturers, in the 19th Century. The Sma’ Shot was a cotton thread which bound all the colourful weft threads into the warps of the famous shawls. However, the Sma’ Shot was unseen in the finished garments and so the manufacturers, known locally as “corks”, refused to pay for the thread. The weavers had no choice but to buy the thread themselves. Without it the shawls would fall apart and the weavers would not be paid for their work. A long dispute followed. 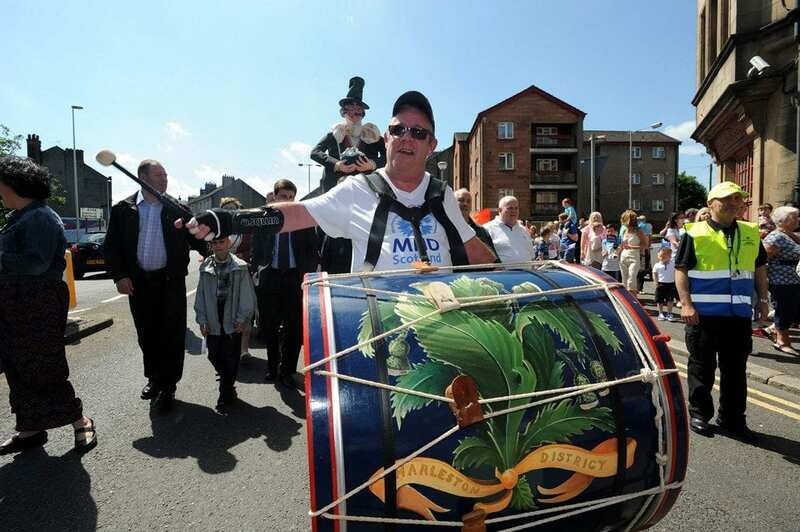 The Charleston drum, which was beaten through the streets of Paisley to summon the weavers in times of trouble, was beaten once again to rally the weavers in protest marches. After a long and hard struggle, the manufacturers backed down and the weavers were paid for the Sma’ Shot. In 1856 the first Saturday in July, a traditional holiday for the weavers, was renamed Sma’ Shot Day in honour of the victory. From that day and for many years, the Charleston drum was used to rally weavers and lead them to the departure point for their annual trip, usually “doon the watter” to Ayr. The demise of the weaving industry, the introduction of the five day working week and a change in local government brought an end to Sma’ Shot Day in 1975, but in 1986 local councillors and the people of Paisley decided to revive this great tradition. 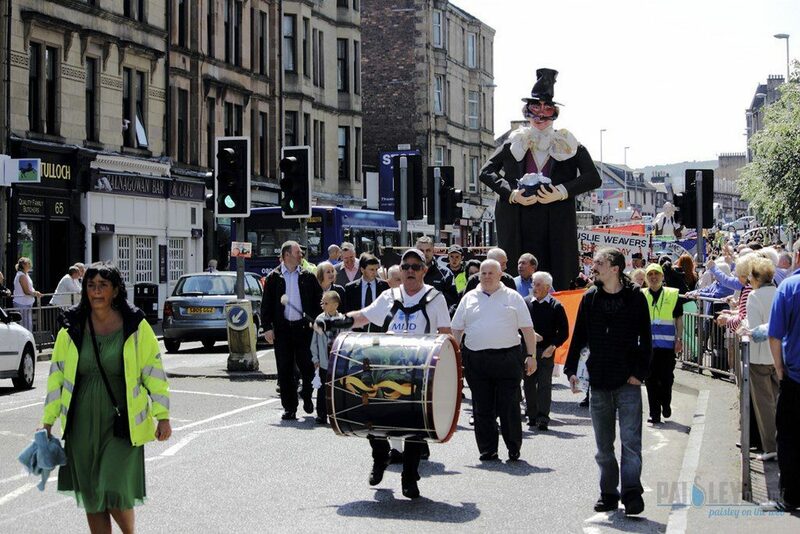 Since then, on the first Saturday of July, once more the beating of the Charleston drum rallies the people of Paisley to a gathering outside Paisley Town Hall, and a procession is held through the streets of Paisley, led by ‘The Cork’, an effigy of one of the manufacturers defeated by the Paisley weavers.